This review of Kratom King will take a look at what users think about this popular Kratom vendor. Kratom King is a no nonsense vendor dealing solely in Kratom without any bells, whistles or other herbal products. The question is, has the focus on one type of product resulted in high quality offerings, or a limited array of choices? How reliable are the products offered by this vendor? We’ll find out whether the crown is deserved, or if it’s just all a way to hype a passing seller trying to take advantage of a fad. When you visit Kratom King’s website, you’ll find a very minimal design with two very basic sections. One section is dedicated to Bali/Indo strains, the other dedicated to Thai/Malay strains and a smaller section of capsules. The capsules come in Bali, Thai, Maeng Da and a “Gold Reserve” extract. The capsules are sold in amounts ranging from 50-250 grams. You’ll also find a few extra pages for blends and extracts. 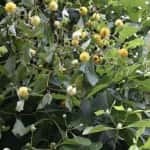 Many website offering medicinal herbs have a wide selection of Kratom along with a variety of other popular herbal remedies, and even some rare ones. It’s understandable why many reviews of Kratom King report the selection to be lacking. Unlike many sites, Kratom King does offer a stock report, which lets buyers know whether the product they want is actually available. 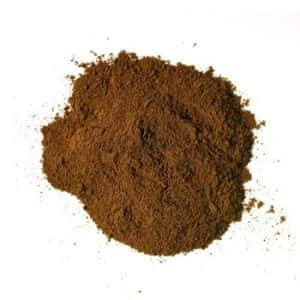 Many Kratom vendors have a hard time keeping popular items in stock, as they sell out quickly and importing the products from overseas can take a long time. As helpful as the stock report on this website is there were only 7 products available at the time we visited for this review. Obviously this is not a great selection on which to base a review. 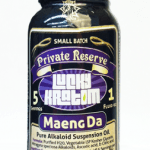 Product descriptions on Kratom King are thorough and knowledgeable, which is always helpful. Product pages include photographs of the products so you know exactly what you’re getting when you order. 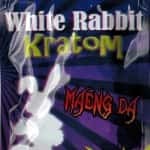 Regarding the items they do have in stock, Kratom King has some really good prices. They offer a couple of strains for less that $10 per ounce. It could be that they found a great deal on this products, as some of the more popular strains typically go for $22 per ounce or higher. At various time, they also offer coupon codes and discounts. For example, liking them on Facebook can get you 5% off. Prices on capsules are similar to those found on most other sites, though the Gold Reserve capsules run high. Gold Reserve is an extract that that is discussed occasionally, but no one seems to know what strains are actually used to make it. They run about $75 for 20 capsules. At this price, not knowing more about it, it’s hard to say whether it’s a deal or a ripoff. Kratom King offers three particular blends at extremely low prices. The prices are so much lower than similar products at other vendors that it begs the question whether they are made from larger batches of product that they couldn’t sell. If so, it is quite possible that these blends have been sitting on a shelf for some time. Whether made from a mishmash of leftovers, or product that has been sitting on the shelf for a long time, it does not seem like a wise purchase. Positives: Nearly every review of this site praises them for being authentic and trustworthy. There have been no reports of any kind of impropriety, and they have a reputation for prompt delivery and accurate product descriptions. Negatives: The limited selection on this site is a common complaint and the main problem with this site. There are a lot of vendors to choose from, many with much greater varieties of products available. With so many choices, limited selection can turn what would otherwise be a great review into just an okay review. 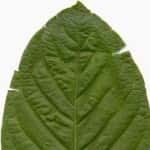 As trustworthy of a reputation as Kratom King has, the lack of selection means they are not a favorite. The severely limited selection seems to be the only complaint regarding this vendor. The site has a wonderful reputation for honesty and good deals. Unfortunately, this does not seem to be enough to overcome the lack of selection. With so many other vendors in the game, an honest reputation isn’t quite enough to overcome the shortage of options. 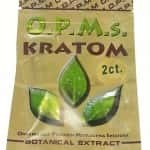 Kratom King is fine if the product you want is something they have in stock, but if not, look at one of the more comprehensive medicinal herb sites. There are plenty of equally honest vendors with good deals where you can find exactly what you’re looking for. I just ordered from sky kratom an affiliate of kratom pro. I usually order from kratom country. Kratom country has great customer service and an excellent product at fair market prices. I love them. The only reason I ordered from sky kratom is because KC isn’t taking MasterCard and my visa was maxed out. I want to let you guys know I have sent numerous email to sky kratom and not one has been answered. I also tried there number it doesn’t work. They also gave me a tracking number for my order this doesn’t work either. If I ever do get my order I will let you guys know with regards to the quality. Sky Kratom is either going out of business or is going through some huge personal issues. They just did the same thing to me, tracking showws nothing, haven’t answered any of the 5 or 6 emails I sent, tried to call, msg says he isn’t currently accepting calls. I think we just lost our money, at least temporarily. I’m going to do a chargeback as soon as the time limit is up. Regardless of the reason, you’d think he’d be man enough to at least post a short explanation of what’s up, and if he’s going out of biz, refund all current unfilled orders. Somehow I don’t see that happening.